National University of Juridical Sciences , Kolkata offers P.G. Diploma in HUMAN RIGHTS and BUSINESS LAWS. The courses for the current academic year (2013-14) will begin in 1st week of August 2013. The objective of this course is to familiarize students to various aspects of human rights. Human rights education not only provides an understanding of one’s own rights but also of fostering an attitude of tolerance, goodwill and removal of prejudices towards fellow human beings. In the hope of spreading human rights awareness, the NUJS has started a Post Graduate Diploma Course in Human Rights, from the academic year 2011-12. The course has the approval of The University Grants Commission (UGC). NUJS has started Post Graduate Diploma Programme in Business Laws for the entrepreneurs, executives working in the corporate sector and others. Larsen & Toubro, one of the leading global corporate brands is the first recipient of the programme. 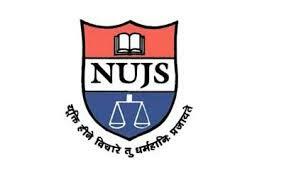 The course is conducted through a flexible pedagogy and contact classes are held at the NUJS campus. Experts, in their fields, drawn from all over the country along with the NUJS faculty are involved in teaching the Diploma students. The syllabus for the course of study will be prescribed from time to time. The entire course shall be taught in five Contact Sessions during the year. All the sessions shall be held at NUJS, Kolkata. The course should be completed by every student within 3 years from the date of registration.